If you love real-life stories of the cowboys and outlaws, lawmen and showmen of the American West, now is the time for you to visit The Texas Collection. Currently on display are some choice titles from the Adams-Blakley Collection–an amazing group of books assembled by Ramon F. Adams, the Western bibliographer, lexicographer, and author, for William A. Blakley, a U.S. Senator from Texas. 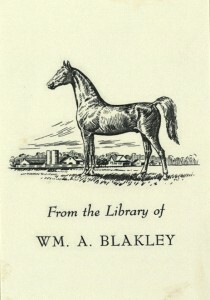 The collection, which was given to Baylor University in 1971 by William Blakley, contains books capturing the excitement and the struggle of Westward Expansion and telling the story of the larger-than-life characters who made it happen. The collection includes close to 3000 works of history, biography, fiction, ranching and branding, promotional literature, poetry, art and folksong, and works on hunting, trapping, and roping. Many of these are rare titles and first editions, often beautifully bound, and signed by their authors. Stop by the Texas Collection to enjoy this exhibit which runs through June 30, 2011. 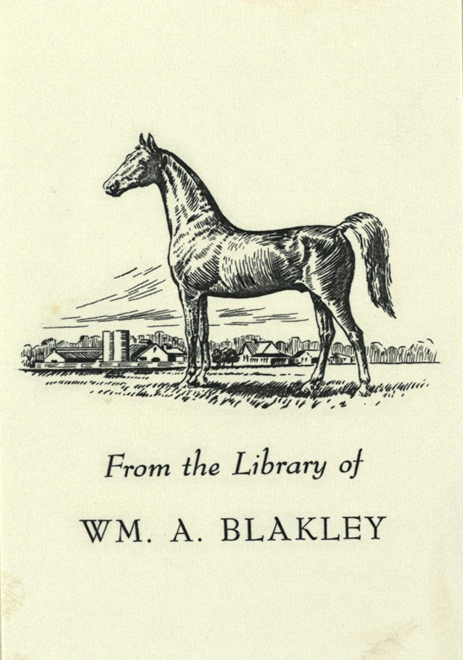 Click here to listen to a field recording of cowboy songs and poetry from the Adams-Blakley Collection. Special thanks to Chuck “Drag” Treadwell for sharing his musical and interpretive talents and to Ian Campbell for production assistance. As always, thanks to Lance Grigsby for his support and enthusiasm for new ventures.